Well I am back after two weeks, in that time my laptop crashed and I lost everything in terms of my Borussia Dortmund save, therefore I couldn't bring myself to start again. I want to say thank you for the 1000s of views and the tonnes of comments before Joshua Bean was fatally killed in a car crash. Even though FM17 is just around the corner, being a university student, I have too much time on my hands to be bored and do nothing. So I have decided to start a story anyway. After the recent 5-1 thrashing by Celtic in the Old Firm game last weekend, alongside my secret love for the green side in Glasgow, despite my English nationality, I have decided to play as Celtic. But there is a slight twist to make this story more interesting, for many years now Celtic and Rangers have been pestering the FA pleading to be allowed into English football, much like Swansea, Cardiff and Newport County just to name three. All of these clubs are from Wales and are proud to be Welsh, yet play in the English football league system. So I have decided to take Celtic and Rangers into the same challenge, they will both be starting in the Championship (the story will explain why) so it is time to see how these Scottish giants will cope in English football after all! I hope you all enjoy my second story of the year, I hope I can keep a similar strength fan base and I look forward to your comments positive or negative!! 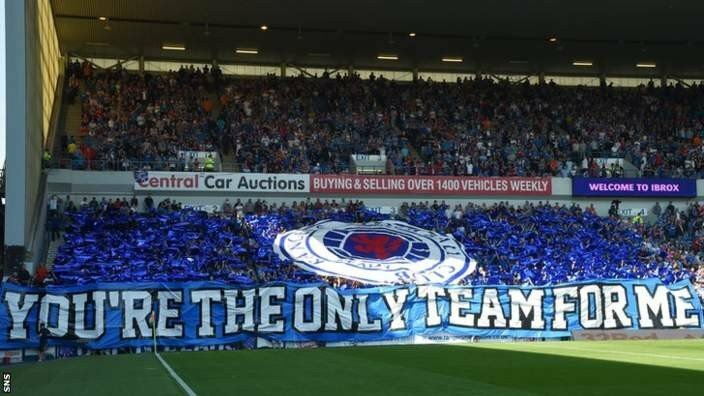 A rumour that has refused to die down over the past five years, has burst back into life, following Rangers executives claiming that "There is not enough money in Scottish football for two Glasgow clubs, let alone the rest of the country." Of course, Rangers are not the Rangers of old, after they famously went bust several seasons ago, leaving Celtic alone at the top of the SPL to dominate for years to come. But despite the joy of winning the SPL title every single season, the bleak truth became ever so more apparent when their hated rivals Rangers were expelled from the SPL. There was barely any money in Scottish football with the Old Firm, without it, Scottish football was in a barren wilderness. Neither declining nor improving. Celtic executives and fans spokesmen both claimed that Celtic and if needs be Rangers, "Need to leave the Scottish football leagues behind if we are to ever grow into the side we believe we can be." Of course, Celtic will be expecting to go straight into the Premier League, but with Rangers as part of the package there is a chance that Premier League bosses will actually prefer them to start in the Championship to 'earn' their way up. The clubs are too big to start from scratch but have no right to demand instant top flight English football, with all the financial benefits that comes from this. The SFA nor the FA have not commented on these rumours, but one is for certain, they seem stronger and more believable than ever before. According to reports that are breaking in Glasgow just now, Celtic and Rangers have been invited to discussions with representatives of the FA, the SFA, and FIFA, in regards to their demands to move into the world of English football. After a long meeting between the SFA and the two Glasgow clubs, who oddly enough are fighting each others corners for perhaps the first time in their clubs histories, the SFA have allowed Celtic and Rangers to move leagues if they are permitted by other governing bodies. 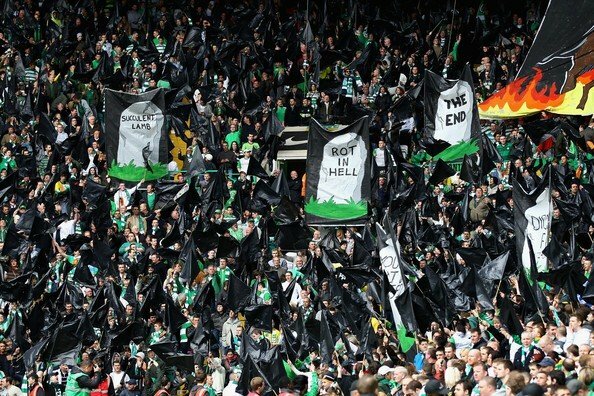 While it is expected that some form of deal is expected to be the reason as to why the SFA has relented sacrificing the Old Firm to England, is unknown, one heavily believed report coming out of Glasgow is that Celtic and Rangers are agreeing to a 'contractual agreement' which sees them play a minimum of three Scottish players in competitive fixtures as well as having a minimum of two more players from Scotland on the bench. The logic behind this proposition is that Scottish players will continue to benefit from the harder level of football, while being slowly surrounded by expensive players from abroad. It is a bold move from the SFA as they appear desperate to improve their national team, with regular football in England with Celtic being the best way to do that it appears they believe. The talks between the governing bodies of the SFA, FA and FIFA are expected to follow the course of give and take, as the FA understands just how much money an Old Firm could provide English football as well as the SFA understanding how much the television money enjoyed among the top sides could benefit Scottish grass roots football. Fifa are expected to be there merely as the authoritative power to give the final yes or no depending on how the talks go. Both Rangers and Celtic are yet to release statements of their own stating how much they are pushing for this change, but both have released separate statements stating that if a move was to go ahead they will never leave Scotland in terms of home games, which is of course expected. Are we perhaps on the verge of a sensational league switch by the two Glaswegian sides? It is certainly an intriguing concept and one I look forward to reading more about, good luck! Until recently, the reported move of Celtic and Rangers to the English football league had been uneventful behind the scenes in the staff and player departments with all the talking being done by board executives. But the first casualty of this potential Scottish invasion of England, has been Celtic's own manager Ronny Deila, who released this statement just moments ago. "I am very disappointed to be leaving Celtic after just one season in charge, but I have found that my position is becoming increasingly unstable amongst the turmoil surrounding the club and the proposed move to England. While I respect the logic behind the move as well as the financial benefits it would have for myself personally and the whole of Scottish football, I don't believe that, with the increased pressure from an already passionately demanding fan base could be managed by a current manager. For such a major restart, a new manager is needed. A fresh face, fresh ideas and fresh enthusiasm. A new start for a new look club. It may have only been season, but I loved every minute of my time at the club and two win the domestic double was a proud moment in my career. I wish the fans and players all the best and hope their move is a fruitful one." A very heartfelt statement from Ronny Deila here, but within it he also openly confirmed that the move is on and is looking increasingly likely. The bookies are currently placing bets on the new Celtic manager with the early favourites being Neil Lennon, Kenny Dalglish and Martin O'Neill. Would be a really cool experiment! Best of luck mate! Hopefully this can be as successful as you were with Dortmund! mgriffin2012: Thanks dude, hopefully it pays off as well as Celtic seem to believe it would!!! Ninja: Just something I added in to spice it up a bit! An idea that has become a reality and has shocked the footballing world, Glasgow Rangers and city rivals Celtic FC have seen themselves moved into the SKYBET Championship for the coming season. In a joint statement between the two clubs and the SFA, they announced that "This move may be controversial and we understand the concerns that the fans of both clubs have, but it is the best possible thing for Scottish football. In the modern world of football, sadly, money talks. Scottish football was falling ever further behind the major national sides and without drastic measures we honestly could not see ourselves reaching the highest heights. As a result here at the SFA, we have implemented the 'Scottish Policy' which will be strongly enforced. It requires both sides to have three Scottish players starting every single game and a total of five in the match day squad. So that could be five starters or two on the bench. Either way three need to start, both clubs have promised us they will stick to these guidelines." Unlike Rangers, who have gone about their behind the scenes business with no fuss at all, Celtic have been in turmoil. The move has been hit with some very loud voices of discontent from important sections of the fan base, as well as seeing manager Ronny Deila leave the club with immediate effect. Celtic are yet to actually name their replacement, but it has been confirmed by numerous parties that Martin O'Neil and Kenny Dalglish will not be taking the job under any circumstance. 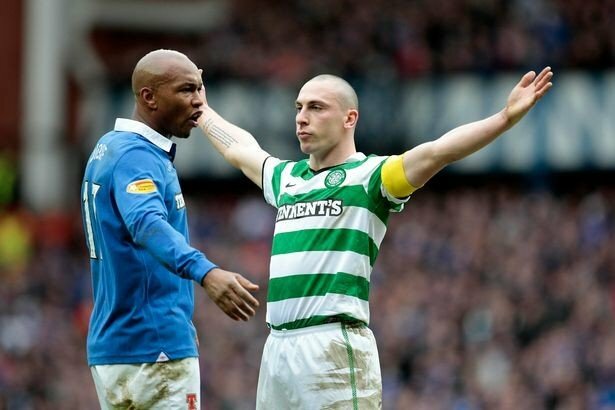 Reports are already surfacing that Scott Brown has decided it is time for a move abroad and further into Europe, preferably France or Italy, with sources close to the club captain claiming the 30 year old central midfielder 'wants a new challenge'. If Brown is to leave it would mean that Celtic are in a new league, with a new manager and a new captain. Maybe a former legend is the best way forward to stabilise the club. While the FA welcomed the move as they were one of the key components behind it ever happening, they have warned former SPL giants Celtic that any behaviour that is deemed not up to the 'standards of the official body' will be thoroughly sanctioned. A small minority of Celtic fans have had a history of during Old Firm and Champions League fixtures, promoting their hatred of their neighbours south of the border and several members of the FA are reportedly worried that this could lead to friction. A Celtic fan club spokesman, very quickly ridiculed the argument claiming it was an old stereotype about fans of his club and that the move is being welcomed with open arms.. Looking forward to the future post, looking really good so far! Looking good so far man, shall be interesting to see how the change goes down in England too! Norse_Pixels: Thanks a lot dude! After the departure of Ronny Deila, Celtic were in desperate need for a manager who could not only get success on the pitch but could stabilise a potentially volatile situation within the fan base, who were on the verge of protests at how the club is being run. 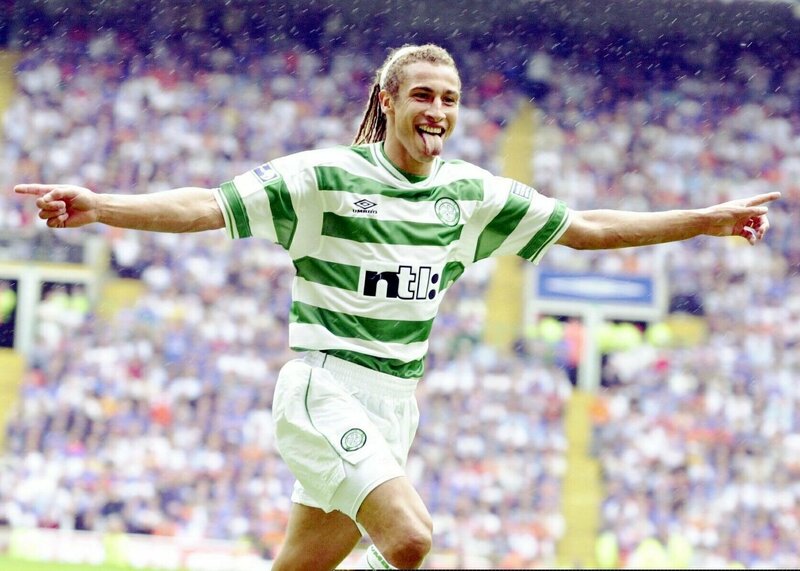 The answer to these problems in the eyes of the Celtic board, is the hiring of former Celtic player and legend Henrik Edward Larsson. The Celtic legend scored 242 goals for the Scottish club and is to this day considered one of the best players to every pull on the green hoops of the SPL giants. The Sweedish legend, enjoyed spells most notably with Celtic and Barcelona although he did play for Manchester United on a two and a half month long loan in 2007, which saw him quickly become a fan favourite despite just playing a handful of games. In a statement released by the club they stated. "Under the circumstances we are in at this moment in time, the board decided it was vital that we we under the guidance of someone who understands the fans. Someone who has a passion for the club that is matched by very few others and someone with an ideology that suits the club going forwards. In standing with our long term goal, of developiong youngsters, we have implemented in Henrik Edward Larsson's contract, that we must sign several younger players. This is to go alongside the SFA policy of three starting Scottish players and five in the entire squad. Henrik was in fact very happy about both policies, claiming that the younger players would allow him to mould his own side and the Scottish rule being important to ensure Celtic keeps its identity of a hugely patriotic Scottish football club." With the appointment of Larsson, Celtic are favourites to earn promotion in some way or another, but the club knows it won't be easy, set aside a club record amount of funds of £18,000,000 for the new manager in transfer budget. It is believed the money comes from the accumulation of multiple title wins as well as the added investment from the board to ensure success in England. While we have had no offcial word from the club itself, it is strongly believed that Larsson will be bringing in his own assistant manager, as well as adding an additional 10 scouts, four coaches and two fitness coaches. Larsson is sure to bring a very 'suit and tie' approach to the job, with a keen eye for detail and a promise of younger players, Scottish players and possession based football, the club legend is perhaps facing his toughest test yet. I grew up watching Larsson score bags of goals for Celtic! His return is going to be huuuugee! !